I have more Letters from Tibet to post from last summer’s tours, but wanted to break that series to let those of you who have asked about our plans for next summer in Tibet in on some great news. We have decided to do two tours in summer, 2010 and here are the details. Tour #1 (June 19-July 5) will focus on Botanical Illustration, but as usual, everyone who wants the true Tibet experience and isn’t so inclined to learn to sketch and paint is invited along, too. Last summer we had a guest who was completing her 2 year Botanical Illustration Certificate Course and focusing on orchids and poppies of Tibet for her final project and other guests who had never picked up a paint brush before. 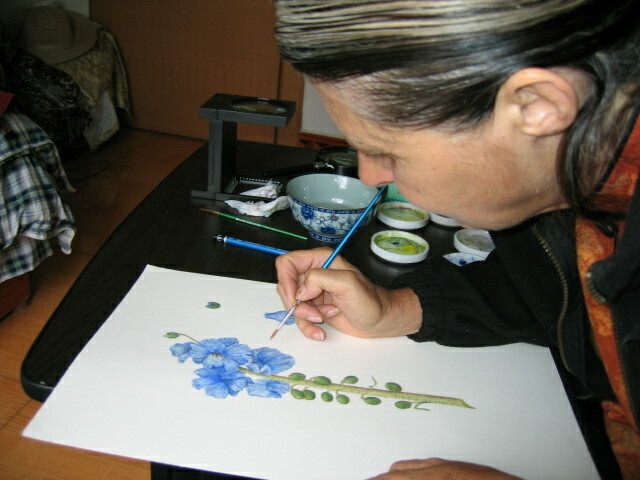 I will teach a botanical illustration class in sketching and painting almost every day. Ever wonder how in the world illustrators get leaves to look so realistic–you’ll be doing it in record time! Can’t imagine how you’ll ever be able to ix the colors so that it is true to the plant in front of your eyes? Never fear–that’s what you’ll be learning. We’ll focus on field work, choosing plants we love to look at or those that are strange and mysterious, even dissecting to see the floral reproductive parts (we have microscopes for those who want to get down to a cellular level). While some guests paint, others will be napping in the sun, hanging out with villagers, and who knows what else. The big activities (horseback riding at the glacier lake, spending the night at the restored nunnery, visiting the monasteries, shopping for silver knives with turquoise and coral encrusted handles, soaking in hot springs, and herding yaks) will be part of the painter’s journey, too. Tour #2 (July 9-July 26) will focus on Photography. People kept asking if we would do a tour with this focus. After all, who is more photogenic than the Tibetans and surely the fantastic landscape on the Tibetan Plateau competes with any locale in the world? We went looking for someone who was not only a top-notch photographer in their own right, but someone who knew how to guide others in foreign lands. We are thrilled because we have just heard from Ron Zak, photography instructor at Napa Valley College (Napa, California), who has led photography trips to such challenging and incredible places as India, Thailand, China, Cuba, Greece, and Vietnam. Ron will give daily instruction and critiques while we visit villages, monastic centers, herd those yaks, go to festivals and meet nomads in the hills and streets of the local towns. 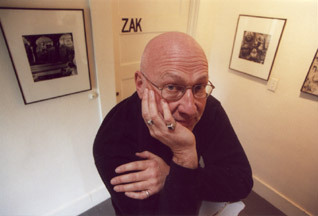 Visit his website at http://www.zakworld.com to read more about him and see what he’s up to these days. And better yet, imagine what it will be like to be traveling in Tibet under the guidance of an adventurer and pro like Ron. The website for the 2010 tours isn’t finished yet, but the itinerary for both tours will be very close to the journey we followed in 2009, so take a look and see if you or someone you know will be joining us in Tibet in Summer, 2010.